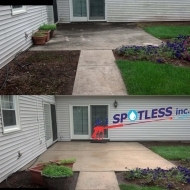 Power Wash Patio Cleaning NJ Middlesex Somerset Union - A-1 Spotless Inc.
Are you frustrated how your patio currently looks? Patio pavers, stone and brick all look beautiful when installed. But dirt, dust, moss, insects, algae, and other organic staining occurs naturally with use and exposure to the elements. Fortunately we can restore the beauty of your outdoor living space by power washing patio areas. 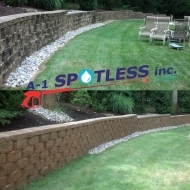 Power wash patio stone, paths and retaining walls. 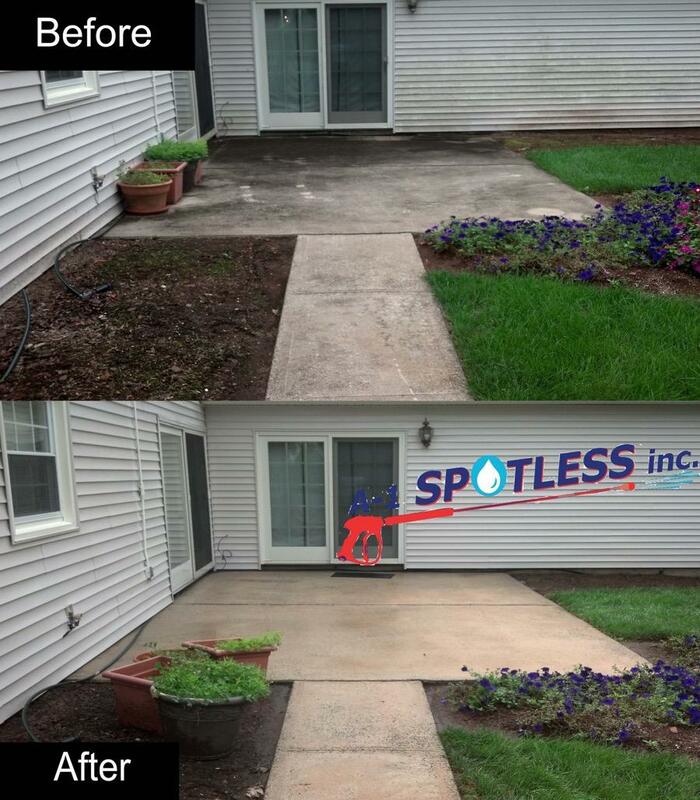 A-1 Spotless Inc. are experts at power washing patio areas and have served customers throughout New Jersey and the Tri-State area. Since 1989, homeowners like you have trusted our team of professionals to maintain their properties. We are reliable, we have professional equipment and cleaning solutions, and we’ll take the utmost care of your home and property. keep your property value high. 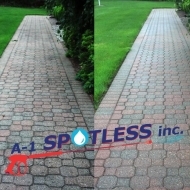 Leave the messy task of power washing patio pavers and walls to the professionals. Our team is trained and experienced and we’ll keep the job site clean. We’re fully licensed and insured, and commit to doing the job right within the agreed timeframe so you can get back to enjoying your outdoor living space. Save time. Stay safe. We got your back. 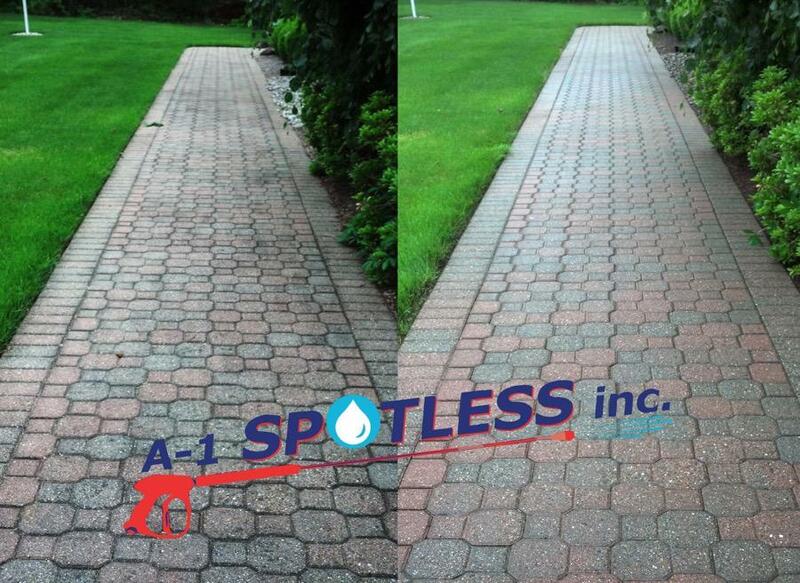 Let us tackle power washing your patio, or cleaning your roof, gutters, siding, brick, deck, driveway, sidewalk, etc. We can also help you with handyman services, painting and snow removal. No job is too small. 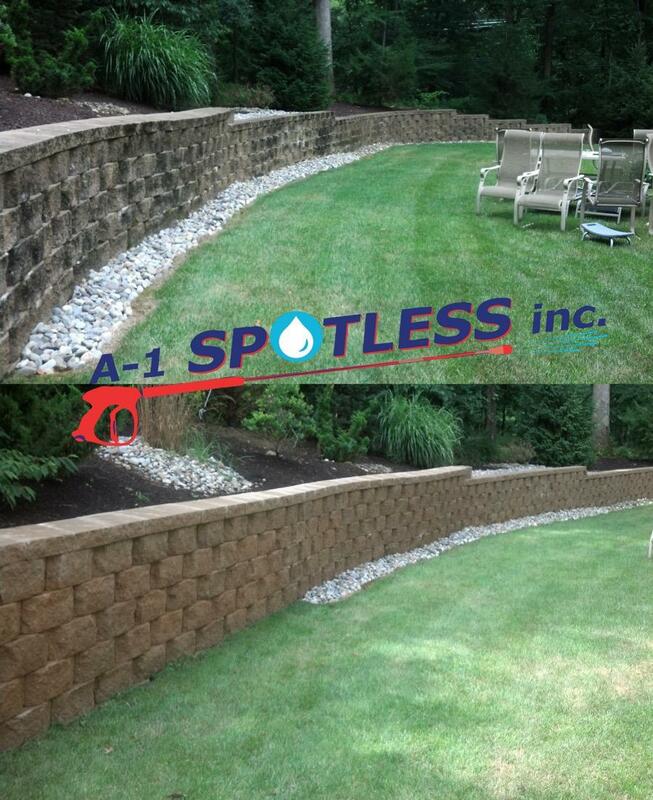 Call A-1 Spotless Inc. today: (908) 647-9274.